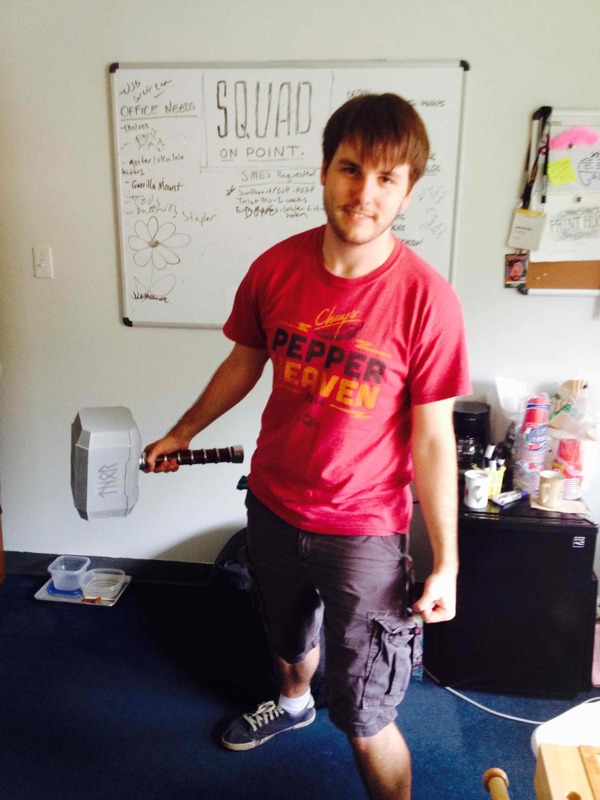 Are you tired of those pesky frost giants always ruining your day? Well fear no more! 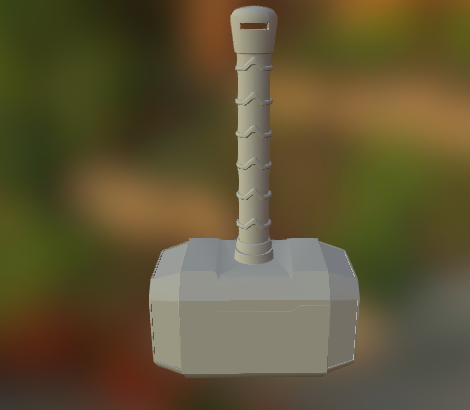 With The Thunder God’s Hammer Mjolnir, you will be able to make frost giant toast and butter them to perfection with a few extra bludgeons! 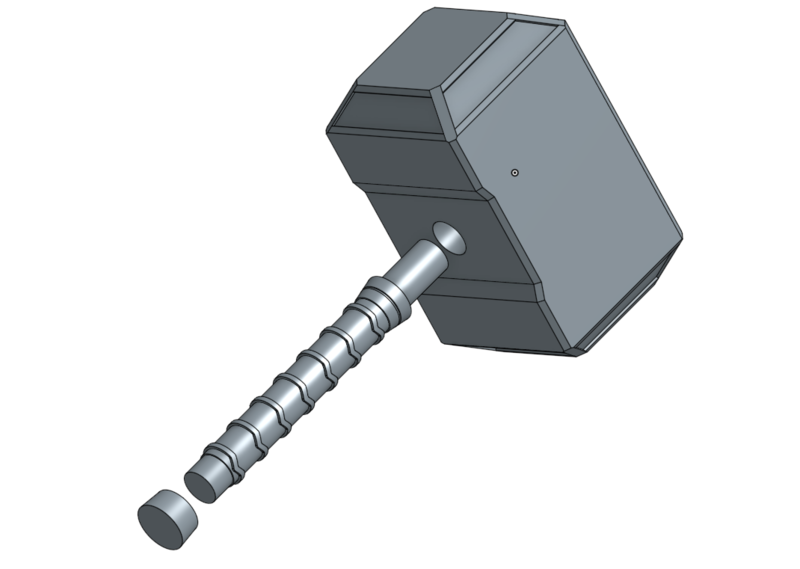 Forged in the heart of a dying star or on a 3D printer (I forget which) this Hammer will always be able to tenderize your enemies with shocking ease, but only if you are worthy! 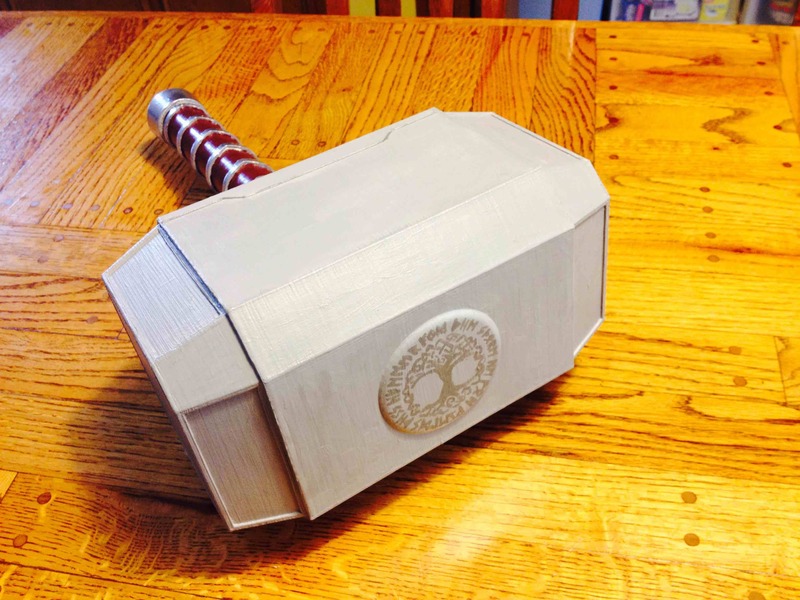 3D modeling in cosplay is great way to create large lightweight and durable props. Because 3D printing can create a shell on the outside and a mesh layer on the inside, the final product ends up being lightweight. This is great for cosplayers that want to carry around weapons that are bigger than their body all day at a convention. This also applies to full bodies of armor. 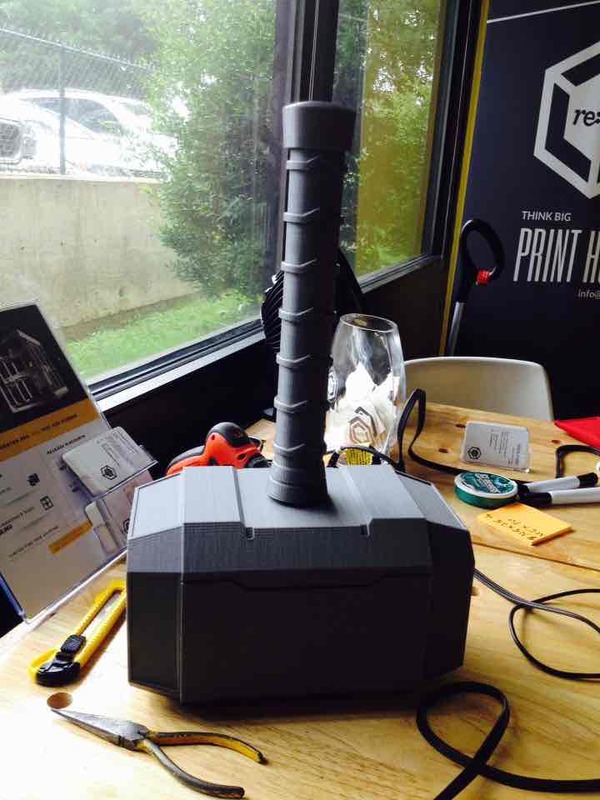 3D printing can also make higher quality props due to the ability to leverage better in precision of designs and symmetry than hand carvings or paper mache. The Gigabot, due to its very large bed, is much better suited to printing cosplay props than a regular desktop 3D printer. Larger pieces means that there is less assembly at the end and an overall uniformity to the final model. When I began the project I decided to make the hammer modular, meaning that it is comprised of multiple pieces that would be assembled at the end. 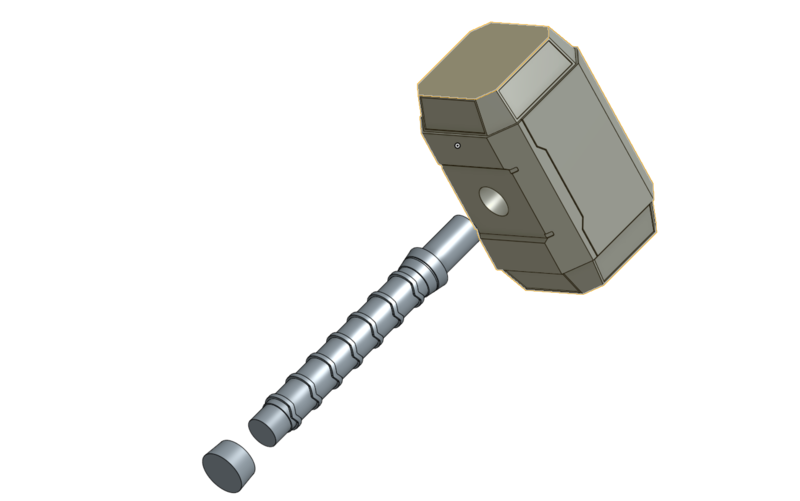 I did this because it allows me to go back and change pieces if I want to and not have to reprint the entire hammer. This is also a good experiment for some of my later projects that will be larger than the 8 cubic feet build volume of the Gigabot. I wanted to practice with different designs as well as different methods of assembly. 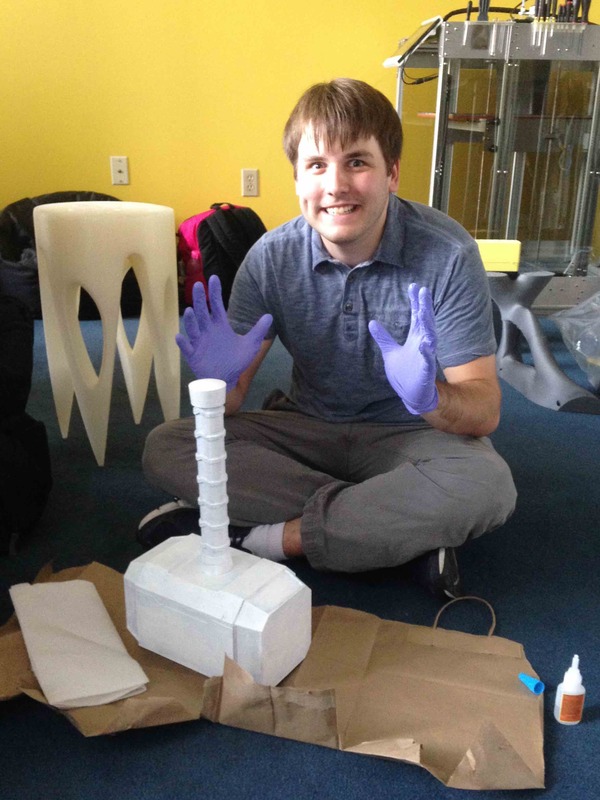 My project helps to build upon and intersect with the techniques used by the artistic and inclusive cosplay community. It allows me to document the possibilities of 3D printing and provide alternative methods for creating props and wearables. 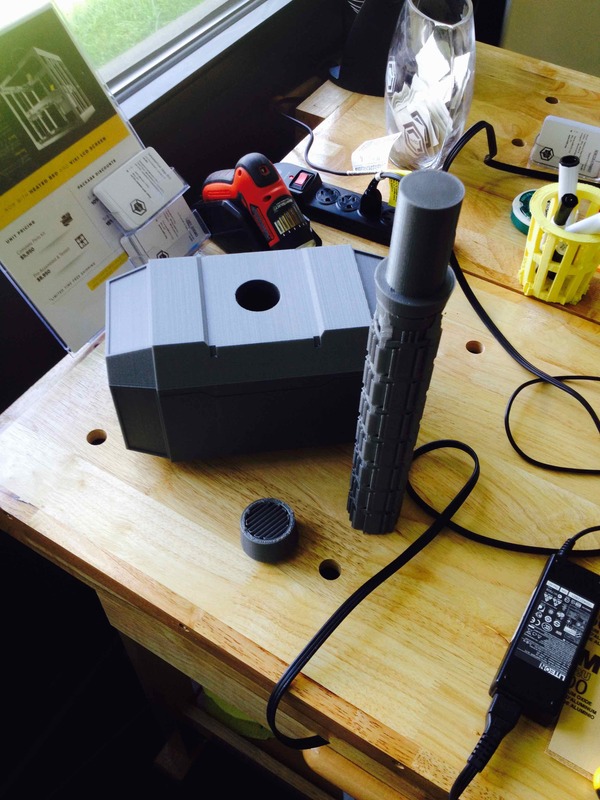 This file was then moved over to another software called Simplify3D where it was formatted for printing. All three pieces were printed on the same print on the Austin Office Gigabot and took about 18 hours to print from start to finish. I decided to print it in PLA because it is a lightweight, sturdy, and relatively cheap material. Here is what it looks like once it is printed with the supports and after I took off the support and assembled it using gorilla glue. Then I began the post-processing to add color. I started by coating it with a layer of white acrylic paint but it took a long time and I wasn’t too happy with the result as it seemed kind of patchy and the acrylic did not stick to the PLA all that well. Then I decided to use a white primer spray paint to go over and cover the rest to make it more easily painted. 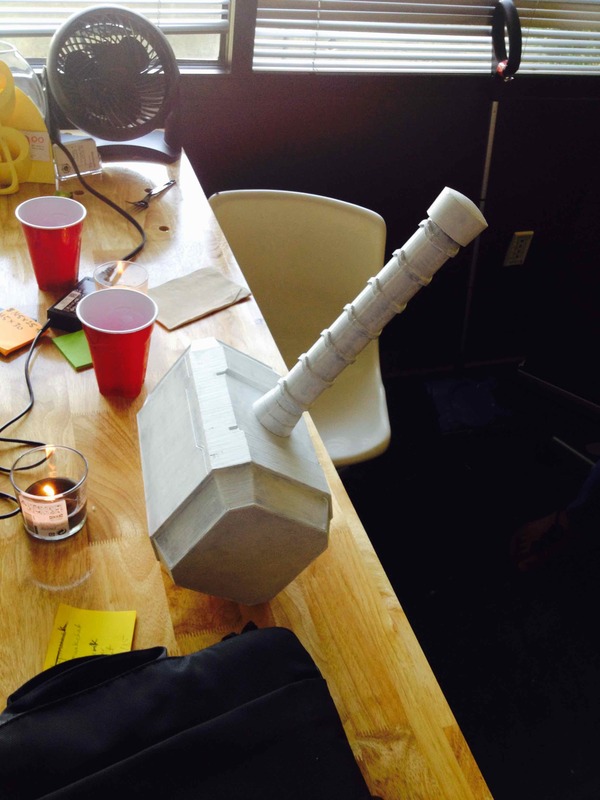 This turned out really well as you can see here where the hammer is being used as a paperweight. 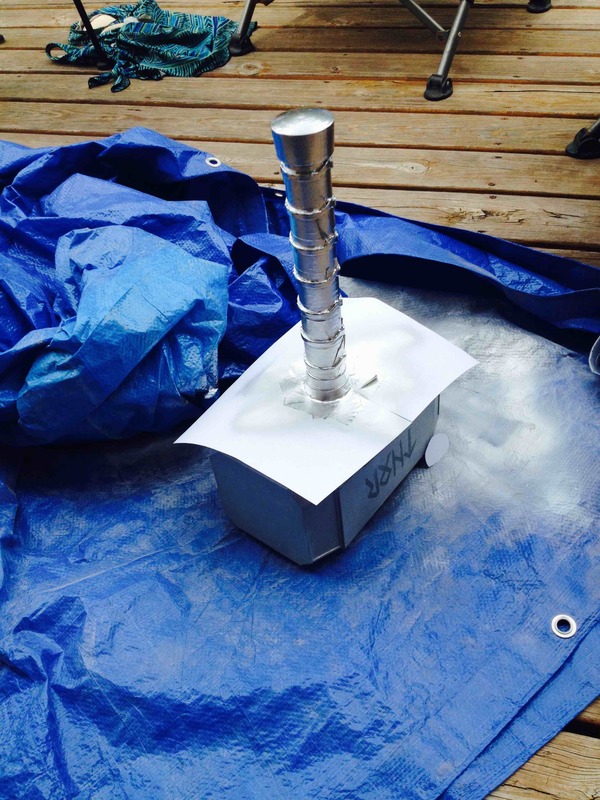 I then use a chrome spray paint to paint the handle and give the ridges a metallic sheen. This picture is slightly out of order because I ran into a problem at the end and had to repaint the handle. After the handle was chrome painted, I painted the “leather” with a burnt umbre brown acrylic paint. 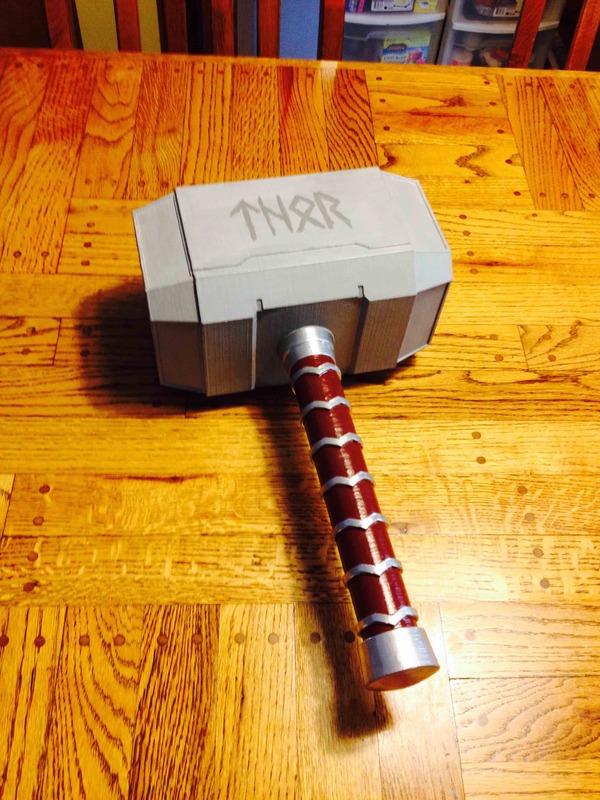 Then I finished painting the hammer with some personal touches added. After going through the effort of glueing the pieces together, I decided it might be easier to print & post-process in one piece. To save you some work, I modified the file and posted it for free download on Sketchfab. I can’t wait to see what you do with the design! You can find me on twitter @JacobELehmann or email at: jacob.lehmann@re3d.org to chat about the process or my next HUGE cosplay project!